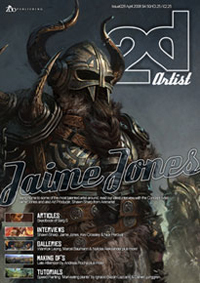 Thread: New issue of 2DArtist Mag - 'April 08' is out! Another packed issue! Lite issue is free, full issue $4.50 or discounts for subscriptions! Everything can be found right here! thank you, I am dowloading it! "un marinaio non prega per il tempo buono... impara a navigare"